Home :: White Balsamic Vinegars :: Barrel Aged White Balsamic Vinegar 12.7 oz. Barrel Aged White Balsamic Vinegar 12.7 oz. This product was added to our catalog on Sunday 18 November, 2012. Parmesan Garlic Vinaigrette 12.7 oz. Meyer Lemon Avocado oil, 8.45 oz. 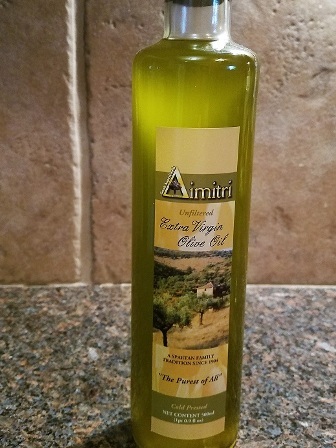 Greek Olive Oil 500 ml. Notify me of updates to Barrel Aged White Balsamic Vinegar 12.7 oz.